The once infallible shot-stopper is facing a fight to keep his England place. England manager Gareth Southgate is under increasing pressure to drop goalkeeper Joe Hart, following yet another disappointing display for the Three Lions in a crunch qualifier. Hart did not have a lot to do in England’s 2-1 victory over group rivals Slovakia but was nevertheless at fault for Stanislav Lobotka’s opener for the visitors, which arrived after just three minutes following a similar lapse in concentration from striker Marcus Rashford. Rashford, who was disposed deep in the England half in the the build up to the goal, went on to make amends by netting the eventual winner but Hart had little in the way of redemption, barring one routine second half save. Though Lobotka took his chance well, many fans were quick to question Hart’s positioning, confidence and all-round shot-stopping capabilities for the goal, taking to social media to express concern over his continued presence in the team. Joe Hart couldn't save a Word document. And after a start to the season that has seen Hart concede 10 goals in just three league games for new club West Ham, there are increasing calls for Gareth Southgate to call on either Jack Butland or Jordan Pickford, who have both impressed at club level for Stoke and Everton respectively. Hart’s poor form goes beyond this season though – he’s in the midst of a nightmare run that has seen him concede 20 goals in his last six league games. Prior to England’s 4-0 victory over Malta, he had also gone 23 games without claiming a single clean sheet. There are just two more qualifiers remaining with England now just one victory away from the World Cup in Russia. 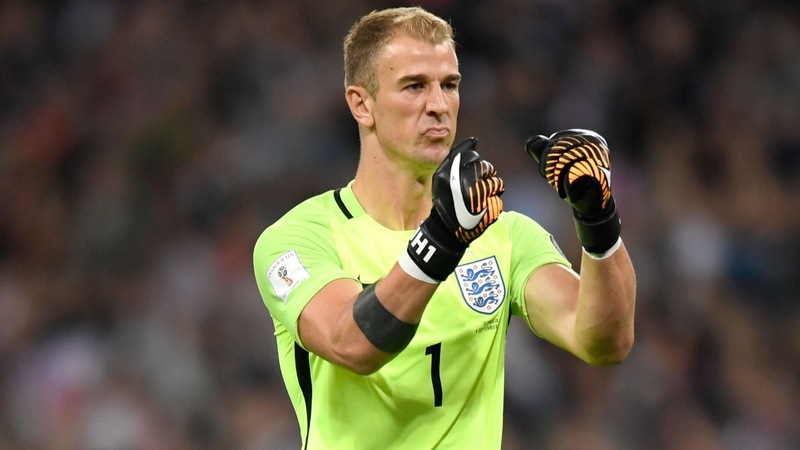 Should Hart’s club form continue to dip alongside his efforts for the Three Lions, then Southgate could be tempted into a switch. The current England number one endured a tournament to forget for the national side last time out at Euro 2016, where he was arguably at fault for goals in each of England’s four games at the tournament. He’s also likely to be low on confidence too following those performances and his current situation at club level, where Manchester City manager Pep Guardiola judged the England star to be surplus to requirements at the Etihad, resulting in yet another loan move, this time to West Ham. Hart spent last season on loan at Torino in Italy but endured mixed fortunes in Europe, where his weakness from corners and poor distribution were both exposed. Will Southgate willingly swing the axe though? After a relatively stress-free start to life as England manager, this could be his first difficult decision.